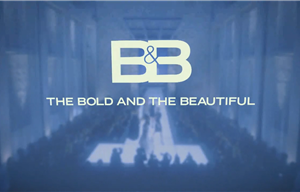 Set in the glamorous world of fashion couture in the city of Los Angeles, the Bold and the Beautiful looks at the lives of four families, the Forresters, the Spectras, the Marones and the Ramirez family. Head of the Forrester clan is matriarch Stephanie Forrester who will do anything to get Brooke Logan (from the Valley) out of her family business, out of her family’s lives and more importantly out of her eldest son Ridge’s life. Head of Spectra Fashions is Sally Spectra who loves nothing better than knocking off Forrester dresses, getting up to all kinds of mischief and generally causing havoc for the Forresters. Head of the Marone family is shipping magnate Massimo Marone who discovered late in his life that he had not one but two sons and he’s trying to make up for lost time. Finally we have the Ramirez family with Hector as the head of the household, having a modest job as a fire fighter and living in the suburbs, he tries everything to protect his teenage daughter from becoming involved with the Forresters. Set against the backdrop of high fashion as models strut their stuff on the catwalk, tensions run high for the four families as they deal with lies, treachery, manipulation, love and lust. The series airs on SABC3 from Mondays to Fridays at 18h00. It moved from SABC1 on Monday, 2 September 2013. Thorne's secrets are out. He tells Brooke the truth. New season alert! Season 30 ends and Season 31 begins. Liam and Sally get trapped in Spectra Fashions.